What if our bodies are just puppets to haul around bacteria? Maybe you are as confused as me. So let’s smash the confusion. Let’s talk about bacteria. Each of these three types of bacteria has a different role in our body and there’s some that are more important than others. 1. Essential or Beneficial Flora (AKA the good guys): that’s the friendly bacteria we’re always talking about; the kind that are in probiotics and fermented foods, like Bifidobacteria, Lactobacteria, and E-Coli (not the deadly mutant straing. The good strain). 2. Opportunistic Flora (AKA the bad guys): there’s around 500 various species of microbes in your gut that fall in this category. It’s normal to have a large amount of “bad guys” in your gut. When the gut is functioning as it should, they guys are kept in check and are not allowed to take over. The issue is that many people have dysfunctional microflora. The bad guys can overgrow and take over. 3. Transitional Flora (AKA the drifters): these are microbes from the outside environment. They travel through your system from food and water and exist out of the other end. Seeeee ya. All these types of flora are important, even the “bad guys.” They all have a place in our gut but once they start doing something other than what they are meant to, they can all cause problems. Probiotics are strains of beneficial bacteria that we can supplement with to support our native beneficial bacteria. They can control the opportunistic bacteria from taking over and protect us so that the transitional bacteria and pathogenic organisms can’t take hold inside our damaged guts. This is unfortunate since most people have significantly less gut flora than that of their ancestors. If you have typical gut dysfunction symptoms (ie. diarrhea and constipation) than there is a good chance things aren’t right in there. Probiotics can help with this. And here’s another mind blowing fact. Anywhere from 50-80% of the dry weight of your bowel movements is dead bacteria. Anyone who is struggling with digestive disorders, especially irritable bowel syndrome or Inflammatory Bowel Disease, is probably going to gain some benefit from taking probiotics. Probiotics can be beneficial. 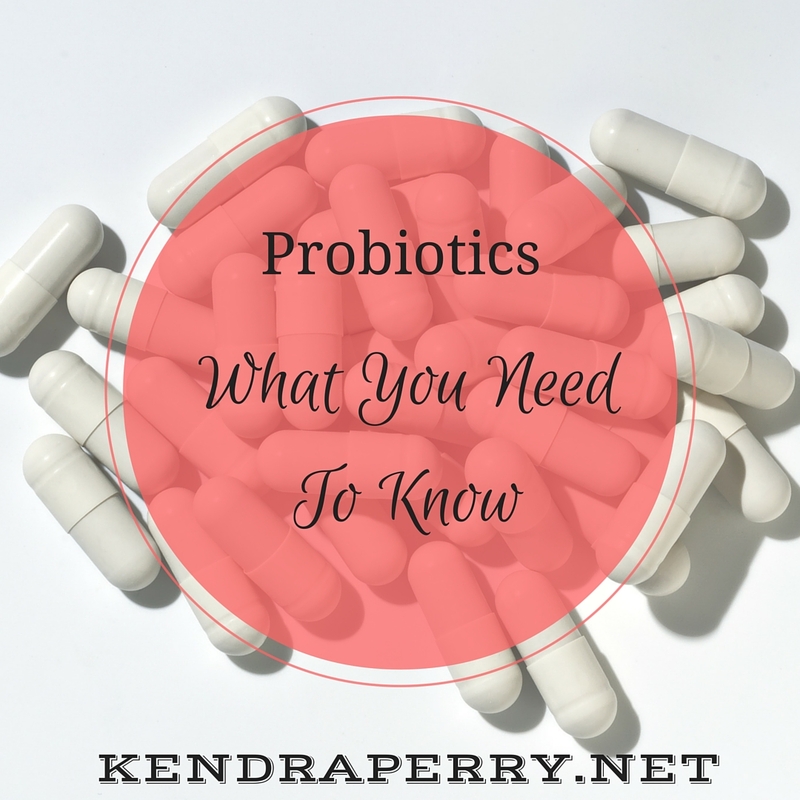 The caveat is that most of us don’t know what types of probiotics we should be taking. This is going to be different for everyone and the only way to identify this is through lab testing. For example, let’s talk about Bifidobacteria. This is normally a friendly flora but it can also overgrow and cause issues. Unless you know your Bifidobacteria is low than you could cause an explosion of this bacteria. Another issue would be if you have Small Intestine Bacteria Overgrowth. This is a condition where the friendly flora in the large intestine migrate to the small intestine and take over. SIBO people struggle with gas, bloating and abdominal pain. In the case of an overgrowth, supplementing with probiotics can actually make SIBO worse. If you take probiotics and feel worse, stop. Probiotics are not good for everyone. One of the best ways to increase beneficial bacteria is to eat fermented foods. Fermented food has been used for tens of thousands of years. This is how our ancestors preserved food without refrigerators. Fermented foods contain an insane amount of bacteria. No probiotic can compete with fermented foods. That being said, fermented foods are not great for everyone. If you have a histamine intolerance, you should avoid fermented foods. If you are trying to eradicate Candida overgrowth, avoid fermented foods. While fermentation can feed the good bacteria, it can also feed the yeast. If you are interested in eradicating Candida the right way, make sure you aren’t make these common mistakes. If you have SIBO, fermented foods are also not your friend. The best advice I can give when it comes to taking probiotics is to start with a low dose. For example, if you buy a probiotics with 10 billion bacteria, you may want to start by breaking that capsule open and cutting it into 4 parts. You can dissolve it in liquid and drink it down. You can slowly increase your dosage over a couple of weeks. A few symptoms initially may be a good thing. This may indicate that the probiotic is having an effect on your system. Symptoms should subside after a few days. If they don’t, that probiotic may be wrong for you. And as always, I know I probably sound like a broken record, if you can afford testing, do it. Testing will help you identify micorflora deficiencies and allow you to customize your probiotic supplements. I would love to hear from you. What has been your experience with probiotics? Have they helped you? Let me know in the comment section below! What tests are for this? How access? Price? Method? There are a few options for testing. You can use the Diagnostics Solutions GI-MAP or the Genova Diagnostics GI Effects Test. Ubiome now does a microflora sequencing test. Once you are Certified, Susan, you will be able to run the first two through the FDN Medical Director Program. Ubiome allows anyone to order a microbiome sequencing kit, inexpensively. I don’t know much about this one so I encourage you to do your own research. Thanks for the comment!